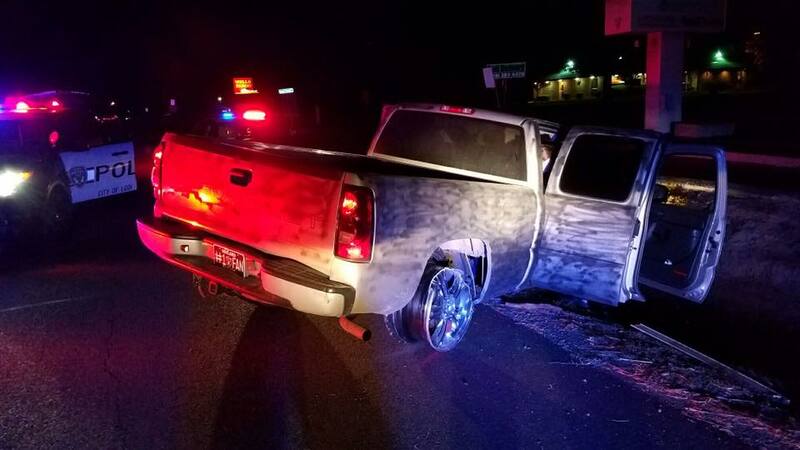 A Lodi man was arrested late last night after he led police on a vehicle pursuit that ended when he crashed the vehicle. Around 11:30 pm on Monday, March 14, Lodi Police attempted to stop a pickup truck being driven by Joseph Howering, 21, of Lodi for a code violation. Howering did not yield and led officers on a pursuit that stretched throughout the east side of Lodi, Acampo, Woodbridge, and Lockeford. During the pursuit the truck struck a curb and lost both tires on the passenger side. The driver lost control of the truck while turning southbound on SR12 from Jack Tone Road and became disabled. A high-risk stop was conducted, and the suspect was taken into custody at gunpoint. The pickup truck was found to be stolen out of Lodi and during a search of the truck a loaded handgun was found on the driver’s side floorboard. Howering was arrested and booked into the Lodi Jail for felony evading, vehicle theft, possession of a stolen vehicle, carrying a concealed firearm in a vehicle, felon in possession of ammo, felon in possession of a firearm, DUI and possession of controlled substance paraphernalia.